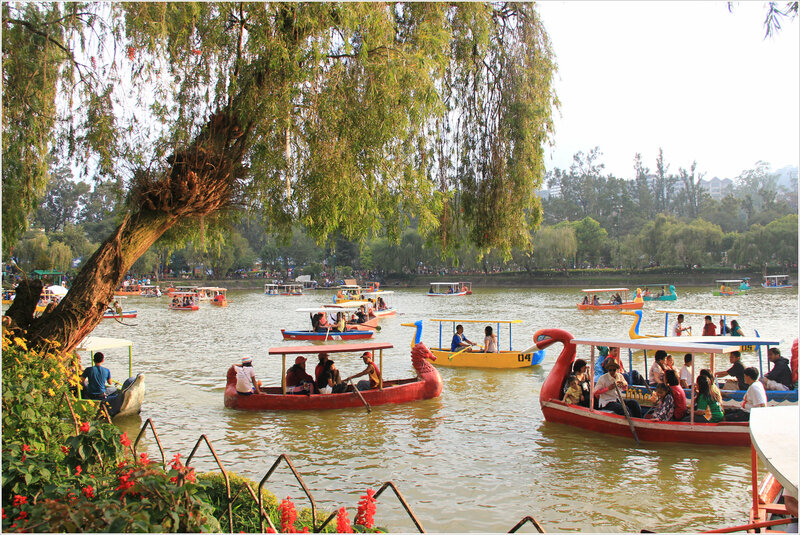 Burnham Park is centered around a man-made lake that is located at the heart of Baguio City, Philippines. 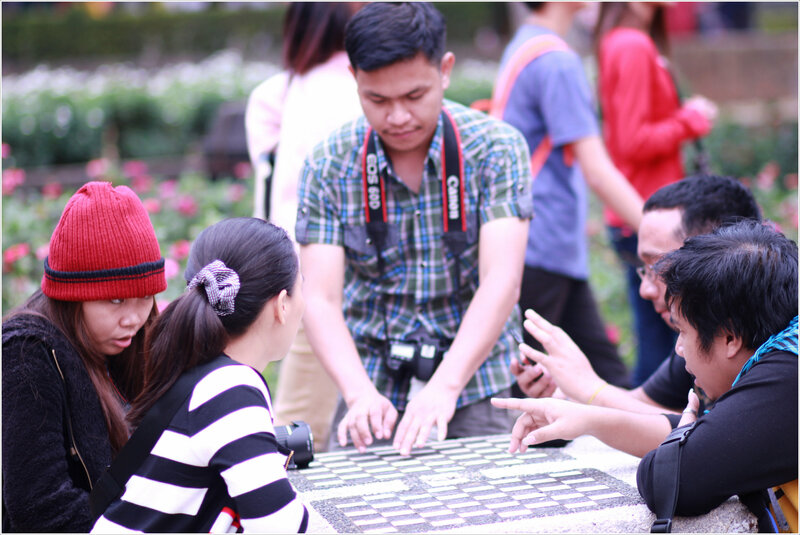 It is a 32 hectare urban Park that was named after the city’s planner – an American Architect Daniel H. Burnham. The Park itself is a favorite place for the locals and tourists alike for its different facilities for recreation and relaxation that are available within the park. 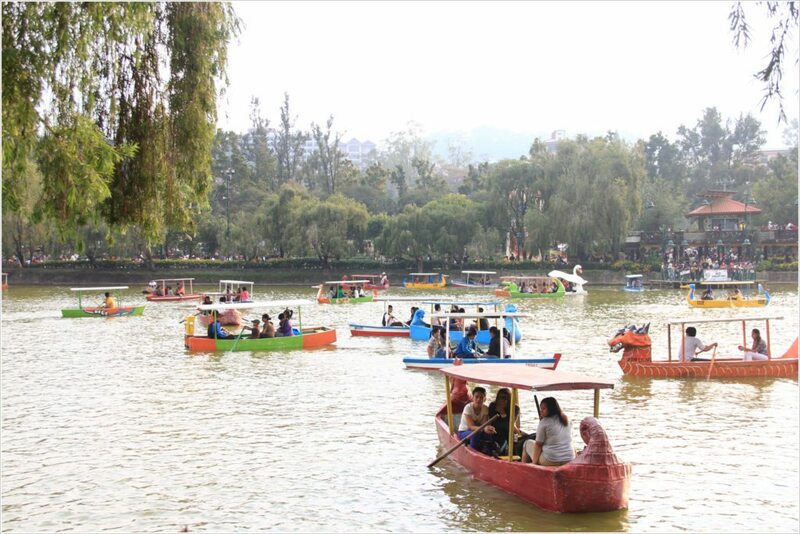 You can row a boat in the man-made lake, have a picnic on its grounds, attend an outdoor concert, watch a football game, go biking, or just take a leisurely stroll around the park. After a short rest in the transient house from our trip from Clark Airbase, we heeded back to the city proper to meet our guide for the Mount Pulag Climb for the next day. 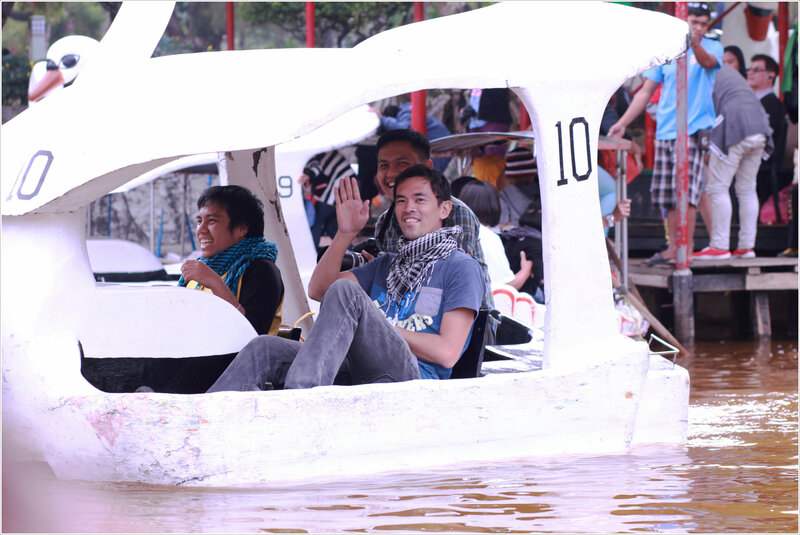 The rendezvous will be at the Burnham Park, so we hailed a taxi going to the Park. We were 8 in total – that means we can’t fit in a single taxi cab. 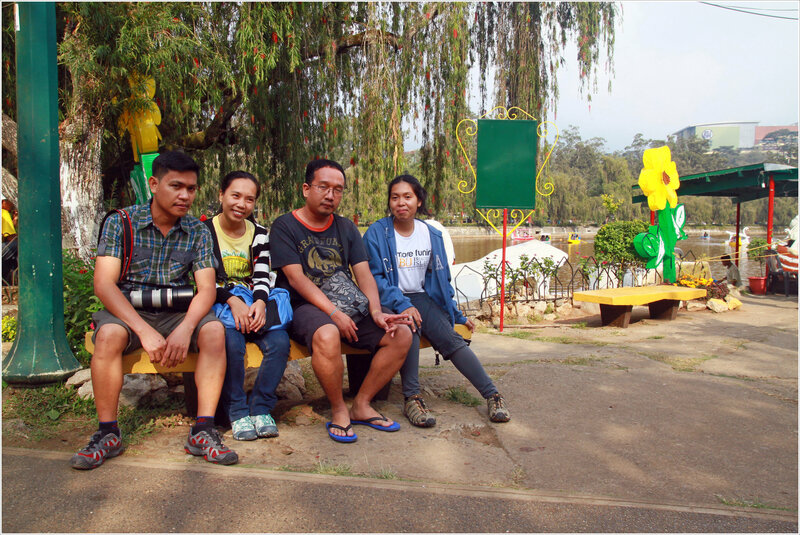 I let Michelle go with the first group and I will be with the 2nd group, as she and I had previously went to the Park in our previous Baguio vacation. Upon getting there, the guide sent an sms that he will be late for some reasons. 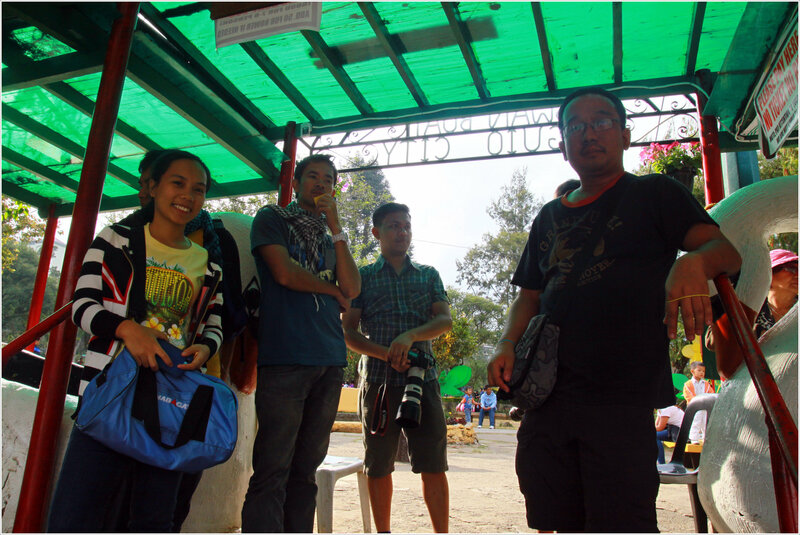 So, while waiting for our guide, we might as well make use of our time touring around the place. But first, we looked for an ATM machine coz some of our companions needed cash. Some of our companions asked where can we find an ATM machine, I responded that we can find one near Melvin Jones Grand Stand or somewhere along session road as I remembered from our last visit. But what I am sure of was that there are few ATM machines in the city, all we need to do is find them. We crossed Melvin Jones Grandstand from Burnham Park, and we enjoyed talking some nonsense things as we walked across the plaza and also taking some snapshots. Alas! BPI is just across MeLvin Jones. We then hurriedly went to the bank. There was quiet a queue in BPI ATMs but not that super long anyways. I just waited outside as I had brought enough cash for the entire trip (just being prepared just in case ATMs in Baguio will be offline). As what I always have in mind when traveling is always to be in the safer side, “better safe than sorry” right? 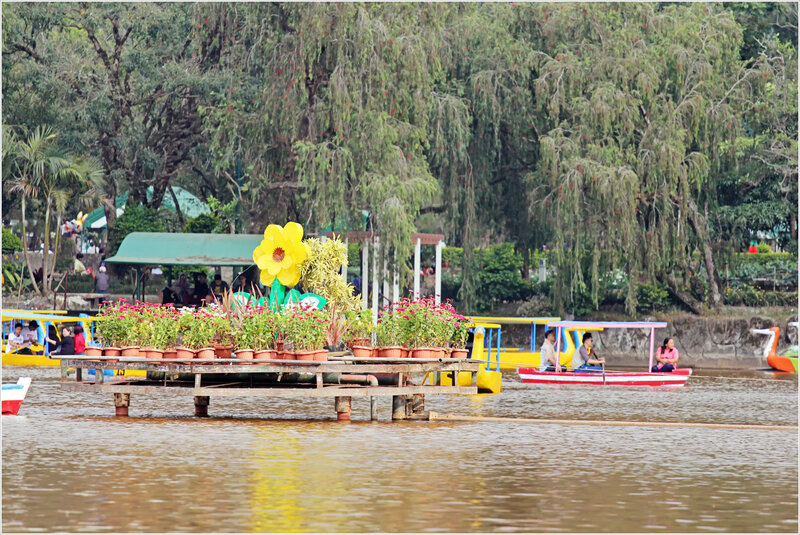 We went back to Burnham Park after and planned to roam around the Park while waiting for our guide. But what caught our attention is that the enticing and the inviting lagoon with all the Swan boats, etc. 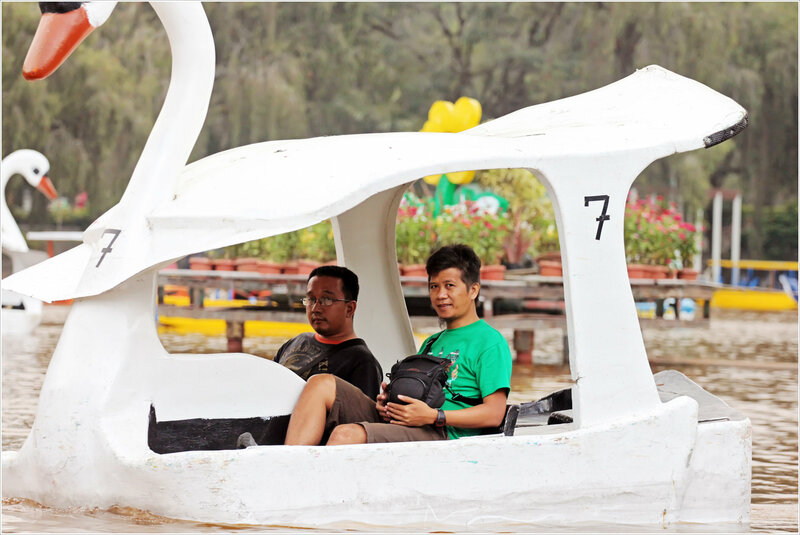 We then decided to ride the pedal swan boats, – all of us. We then lined up at one of the swan boat booths for tickets and waited for few minutes since all the boats were used at that time. 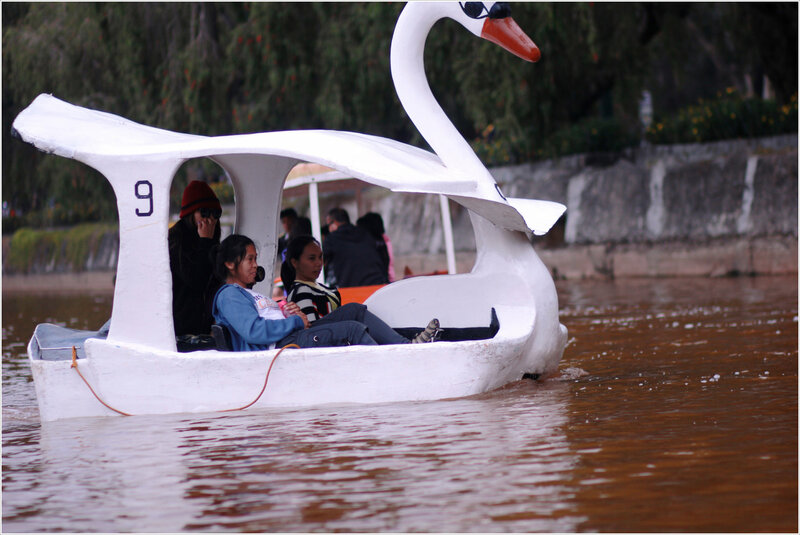 Not for long, we then rode our swan boats – 3 swan boats for the 8 of us. The 3 ladies (Michelle, Aimie and Angel) had their own swan boat, 3 in our boat (Tats, Joshua and I) and the last 2 gents (Norman and Aldrich) was on the other boat. 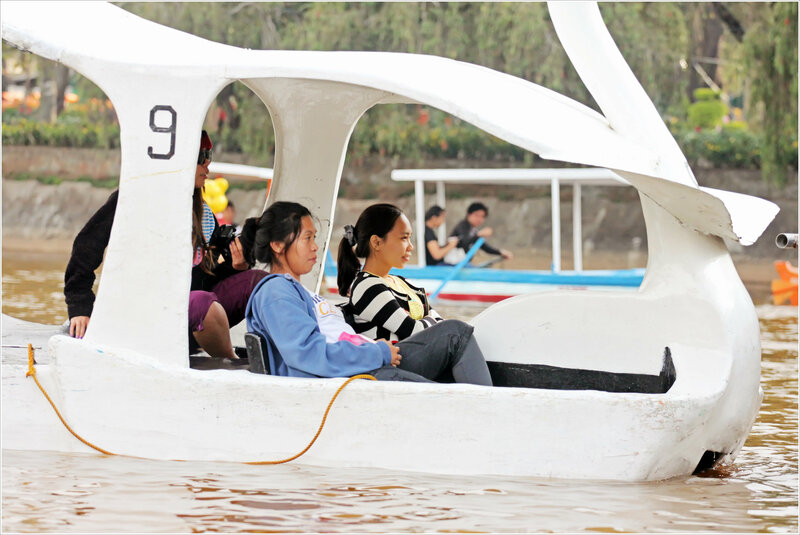 The ride is good for 30 minutes if there will be others waiting in queue to use the boats, but you can still enjoy the ride beyond 30 minutes if there are no one in queue. For us, it’s just 40 minutes, as there were a lot in queue after us. Here are some of the pictures we took during our ride. 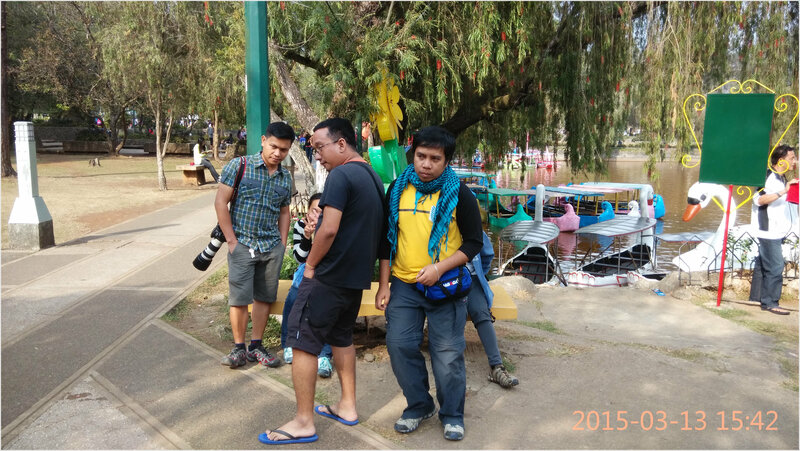 There are tourist Police in the park also. 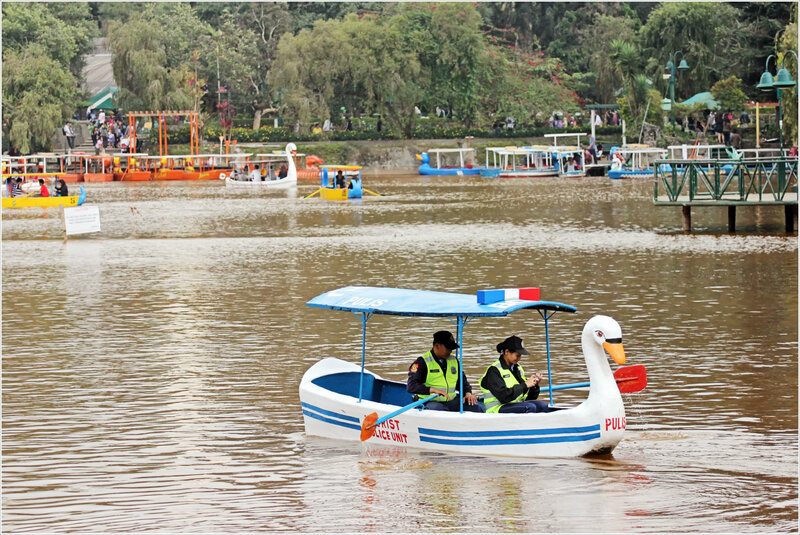 Below is the picture of the 2 Tourist Police patrolling the area and the next one is the center of the Lake/lagoon that has ornamental plants in it. After the 40-minute swan boat ride, we then waited at some Park benches just outside the Swan booth entrance for our guide contact. In the not so far distance, just beside the football field, there were some having their zumba session. Some were busy biking, some were busy reading books on the benches, and some were just watching the passers-by. The football field at the eastern side of the park is said to be used for parades, carnivals, concerts, political rallies, and for display booths during special events and activities like the Panagbenga Festival held every February. On some special occasions, cadets of the Philippine Military Academy perform a parade and review or have a silent drill exhibition at the field also. Our mount Pulag guide arrived in the place and had a talk with one of our companions in contact with him. After settling everything about the climb, we then strolled around the Park for a bit. At the southern end of the park is a circular skating rink where you can rent skates, too bad were not able to visit them as we have limited time and it was almost dusk. There are tennis and basketball courts and a few restaurants around the area. 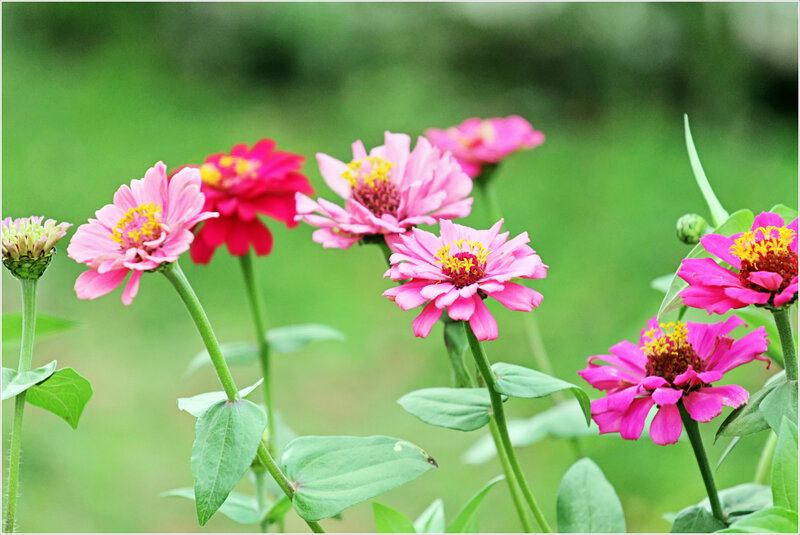 Outdoor kiosks, children’s playground, and an orchidarium that sell various kinds of plants, trees and flowers. There are chairs and benches are around the park for those who just want to sit down and relax. Saw one park goer reading her book in one of the benches. 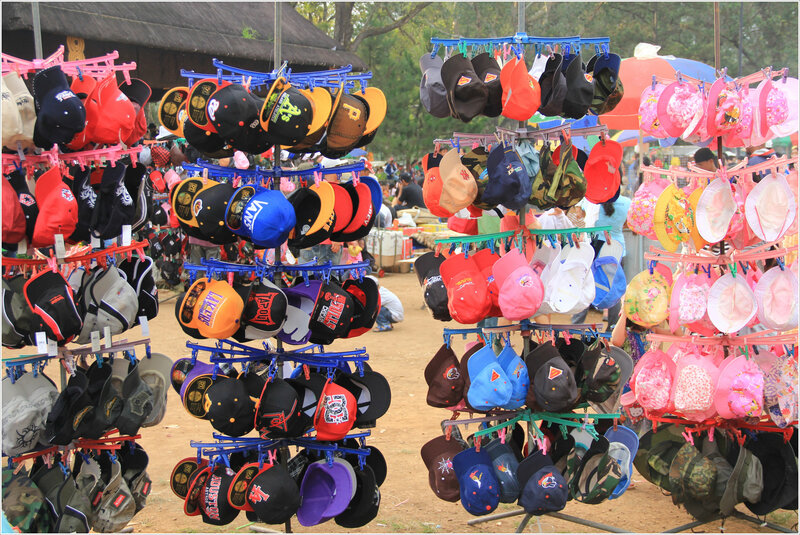 Upon reaching to the far end of the Park, we found some stalls around the park that caught our attention, selling stuffs like caps, bonnets, scarfs, and other souvenir stuffs. These caps have vibrant colors to not take some pictures right? The gents bought each of the snow caps that we will be using in Mount Pulag. 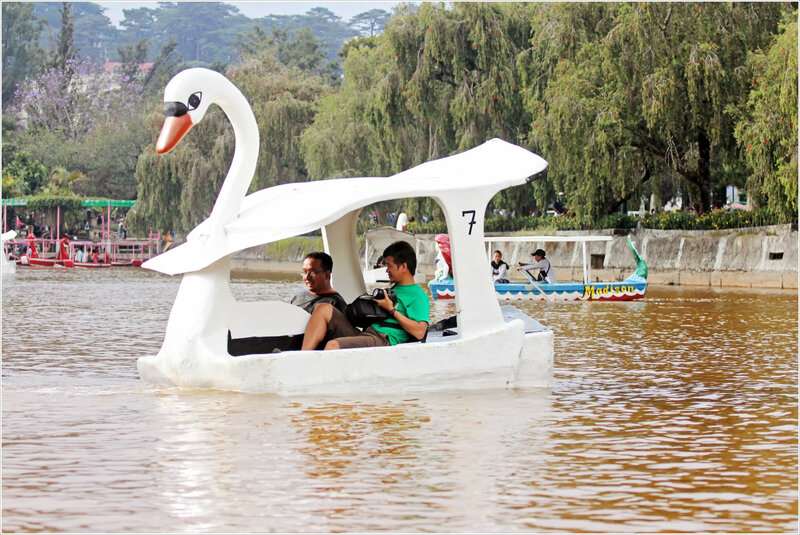 My Burnham Park experience was so relaxing maybe it’s because we had fun with our pedaled swan boats and with the Parks’ serene aura of course. After having our grocery, we then agreed to have our dinner in one of the restaurants around the city instead of cooking back at the transient house. I was about to suggest some places like Mandarin Restaurant or the Solibao Resto that we’ve been to in our previous Baguio visit but it seems the restaurants were crowded that time coz it was Friday night after all (TGIF!). We then decided to eat at the fast food chain instead coz we need to pack things up later that night. Who are we to whine anyways? Besides, we don’t have the luxury of time I must say. We headed to session road and ate at one of the fast food chain resto. It has quiet a queue also but it was bearable, were not very hungry anyways. Hmmmm.. at long last, our tummies were full. We then contacted Kuya Jhong to fetch us back to the transient house. We’ve waited in front of BPI bank along session road for our cab then. Some of us feel cold that time. 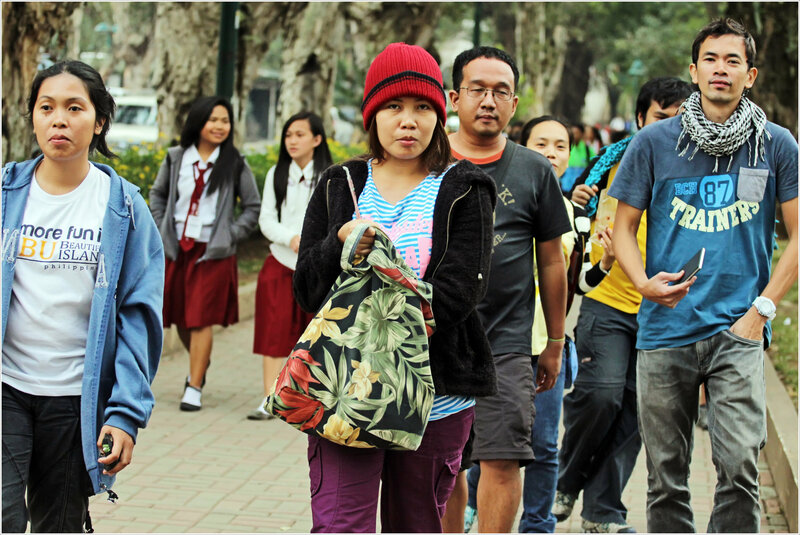 Yeah, the temperature at night in Baguio will drop further to a couple of degree centigrade. So be sure to have proper outfit when going out within the night. Ye-hey! Were home after few minutes and it’s time to call it a night. But not yet! We are about to sort out our things. 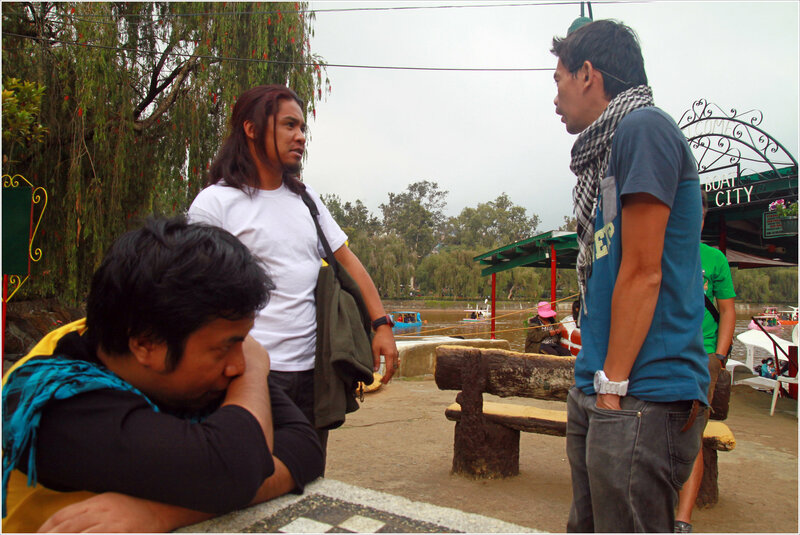 Kuya Jhong offered us that we can leave some of our things in his crib – the one’s that we’re not using in the mountains. How thoughtful and kind of him for that offer. Thank you Kuya Jhong. We’re indebted. In return, we then decided to reserve the transient house when we were back from Mount Pulag trek and avail his tour service around the city. At 9:30PM it supposedly a dreamland for us but it was actually around 11PM and also we need to be awake at 3:00AM to beat the 4AM assembly time for mount Pulag adventure the next day. You can read about it in a separate post. Stay tuned! 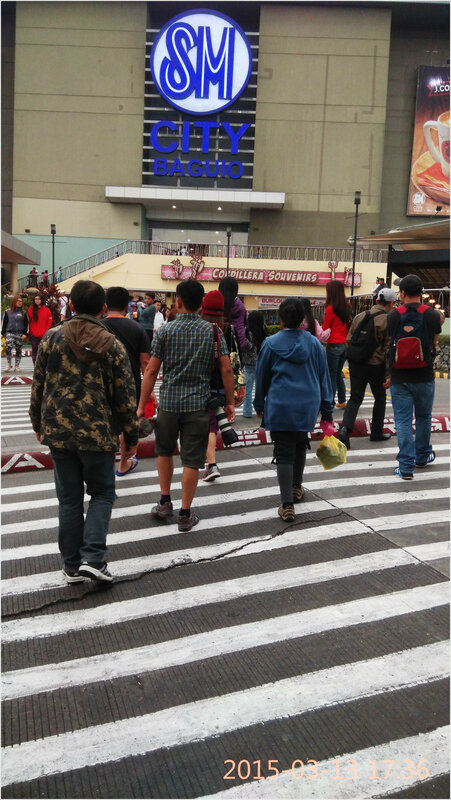 If you haven’t read the previous post on our adventure going to Baguio City. Click Here. 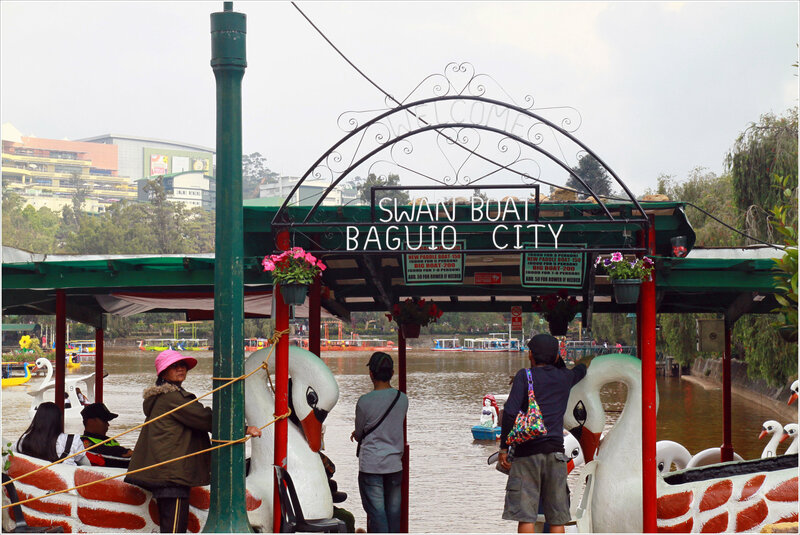 – Have you been to Baguio City’s Burnham Park? – How was your experience? – What have you done in the park? rowed a boat? 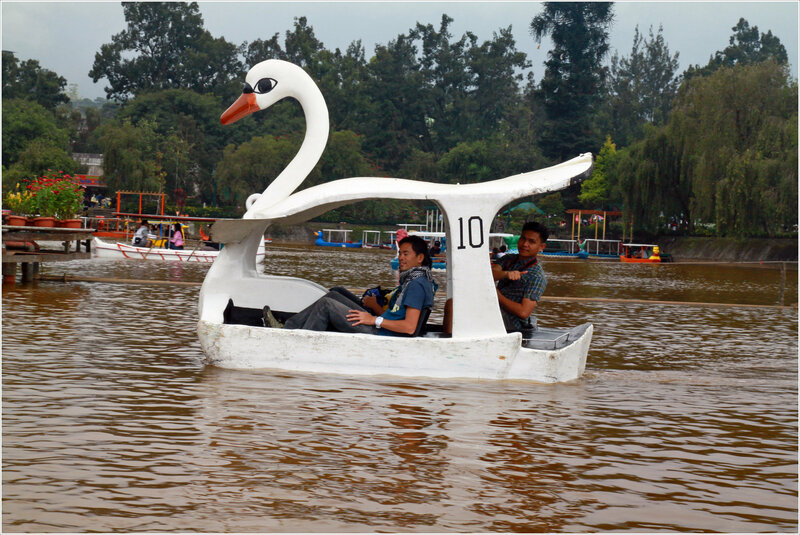 pedaled a swan boat? just chilling? It was still fresh in mind during the last time I had my boating to this cunning little lake of Burnham Park. 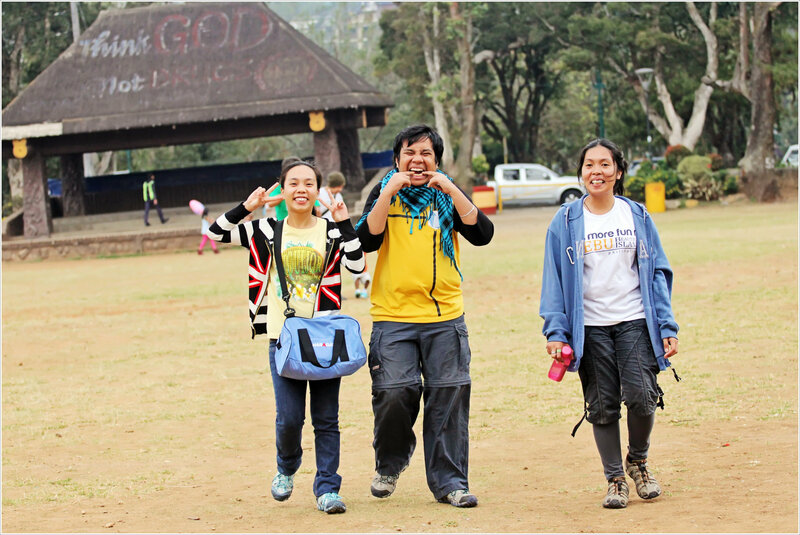 You made me wish to go back and visit Baguio again!